Tony Hawk’s Pro Skater 5 is a very small game by today’s standards. So small in fact that its day one patch is much bigger than its base size. Tony Hawk’s Pro Skater 5 comes out today on old and new-gen systems. The game can now be pre-loaded on PlayStation 4 if you have it pre-ordered. Surprisingly, Pro Skater 5’s base size is only 4.6GB and there’s a day one patch. The patch is 7.7GB, which rivals many of today’s games, but even more so when you consider its already small size. 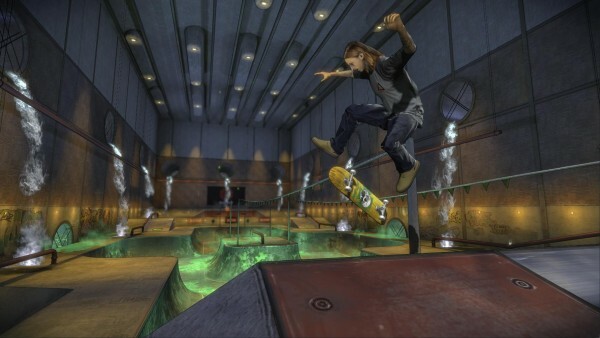 Pro Skater 5 has undergone an art style change recently, which resulted in fans losing a considerable bit of hope as to the final game’s quality. Don’t expect to see many reviews for the game today, as Activision has not sent copies to outlets.